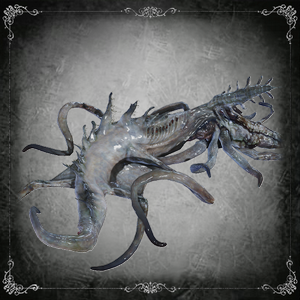 Octopus-like enemies found in the poison pools of the Nightmare Frontier. 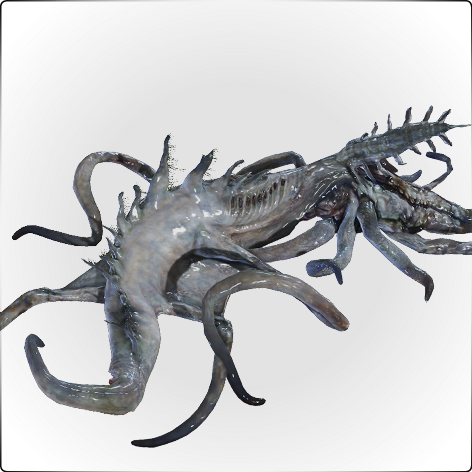 Extremely slow-moving and vulnerable to thrust attacks, they attack with flailing swings of their tentacles, which they will sometimes chain into a combo. 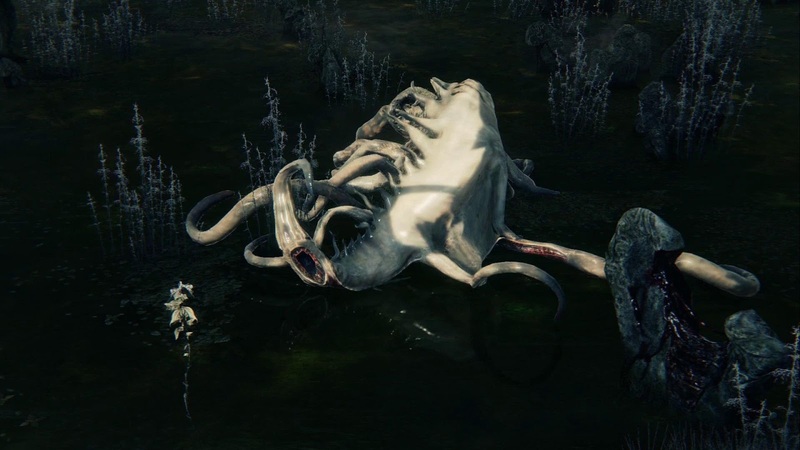 Although not especially dangerous on their own, the thick poison in which they are found severely impedes your movement speed, making it extremely difficult to avoid their attacks. 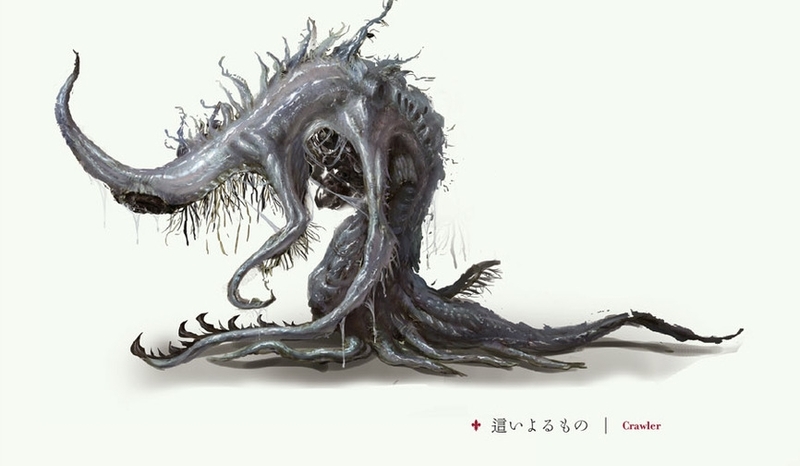 They usually appear in groups alongside the larger variant, and to make matters worse, the Giant Lost Children surrounding some of the swamps will constantly bombard these areas with boulders, creating a nearly unapproachable melee combat situation. Fortunately, Molotovs are effective for damaging the tightly-clustered groups, and Throwing Knives are equally effective against individuals; these ranged options will allow you to engage Crawlers from a distance without having to venture into the poison. Rather than waste all of your Throwing Knife supplies on a sustained assault, use them instead to lure these enemies out of the poison and onto dry land, where you can face them without the enormous disadvantages involved in trying to fight them on their home turf. Use thrust attacks when possible, and don't bother trying to stagger or interrupt them, as they're immune. Focus instead on staying behind them to avoid their attacks while you wear them down. 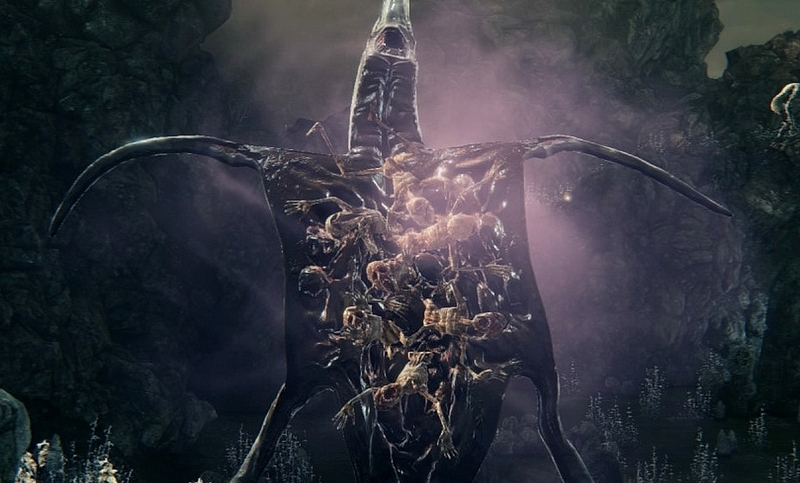 As a much more elaborate, but immensely satisfying, alternative to fighting these enemies directly, you can hit the Giant Abandoned Children near the poison pools with Shaman Bone Blades, causing them to throw boulders at the Crawlers and potentially wiping out entire groups at once. Poison gas from crawlers will inflict you with Rapid Poison.